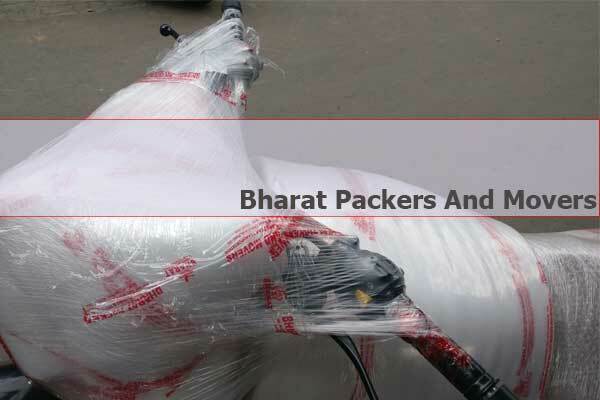 At Bharat Packers and Movers, We have Bike Transport Pune Process. We know the value of your precious Bike in your life and so, we take greatest care in transportation of your Bike from Pune to other cities in India. For Bike Transportation Service, we have in-house specialized department consisting of trained staff with experience of 10 years or more in packing and moving of two-wheelers. 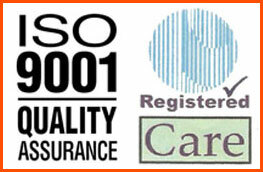 Our ISO 9001:2008 Certificate re-assures you of our commitment towards Safe delivery of your Bike. We specialize in moving all type of Bikes including Super-Bikes. Browse our gallery below to find photos of the Bikes we move on day to day basis. Below is our Bike Transport Pune Step By Step Work-flow that will help you understand the overall bike shifting process with ease. We provide Door Pick-up Service for most of the cities in India. For Door Pick-up, we use a local vehicle or send our executive. 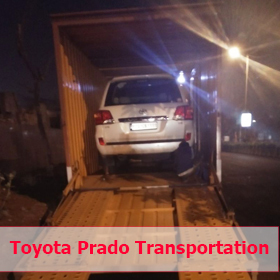 In this process, we send a 3-Wheeler / 4-Wheeler Vehicle to your house. Our Staff will check the Bike for any damage / scratches and provide you a consignment note. Our Staff will then load it on vehicle and transport it to local hub. In this process, we send our executive to your door step. He will check the bike for any damage / scratches and provide you a consignment note. Our staff is trained to drive the bike safely. He will drive the Bike back to local hub. Once the bike reaches the hub, the side mirrors are removed and packed (Note: Side mirrors are prone to damage if not removed). We pack and place them over the sit to prevent damage. Bubble Sheet: First Layer is of Bubble Sheet. This helps in avoiding unwanted scratches by rubbing of packing material over the bike surface. Cargo Sheet: Second Layer is of Cargo Sheet. This is a card-board type sheet which is resistant to any impact during loading / unloading process. Stage Film: Third Layer is of Stage Film. This is a transparent sheet of plastic paper which is used to wrap the first & second layer so that they don’t move from their place during loading / unloading process. Once the packing is done, bike is marked with details like Consignment Note Number, from, to, etc. for easy recognition during the transportation process. Note: We also have 4-Layer Packing Service. In this Service, Second Layer is of a thick foam sheet. This is used to avoid any impact during loading / unloading process. This Layer is used on-demand by Client and is charged extra as per Bike Size. The price may range from Rs.300/- to Rs.500/- depend on your Bike Type. This Service is usually used on super-bikes. Once the bike is packed, it is loaded onto the vehicle which will carry it inter-city. We have specially designed ramps to load the bike on-to the vehicle. 3 - 4 members of the team load the bike on to the vehicle to avoid any mis-happening during the loading process. The bike chassis is tied to the vehicle body using ropes. This process helps in avoiding unwanted movements of bike inside the vehicle body, thus preventing any damage during transit. It is made sure by the loading team that no material is kept over the Bike. During transit, our drivers make sure to follow all driving rules and regulations. They take extra care driving the bad road surfaces. As the Bike is packed with 3-Layer Packing, the packing material absorbs any small impact that may arise due to bad roads. Once the bike reaches its destination, our technically trained staff unloads the bike from the vehicle using ramps. Once the bike is unloaded, it is stored in our destination hub for delivery process. We provide Door Delivery Service for most of the cities in India. For Door Delivery, we use a local vehicle or send our executive. In this process, we will load the Bike on 3-Wheeler / 4-Wheeler Vehicle and then send it to your house. Our Staff will then un-load it at your house & un-pack it. If you want, you can un-pack it yourself. If the Bike is un-packed by our Staff, they will bring back the packing material. In this process, bike is un-packed at local hub. Our executive will drive and deliver the bike to your door step. When you / your concerned person is taking delivery of the bike, we ask you to show the Original Document / Xerox Copy / WhatsApp Photo of original consignment note that was provided to your during the bike pick-up process. This is done as to deliver the bike to right person. The whole bike transport process in Pune and all other cities across India is driven by our Quality Policy and we make sure to maintain Zero damage record. All our staff are technically trained and instructed to follow the Quality Policy and provide best bike transport service to customers without any damage or hassle. If you have any questions, concerns or feedback regarding our bike transport process, you can contact us. 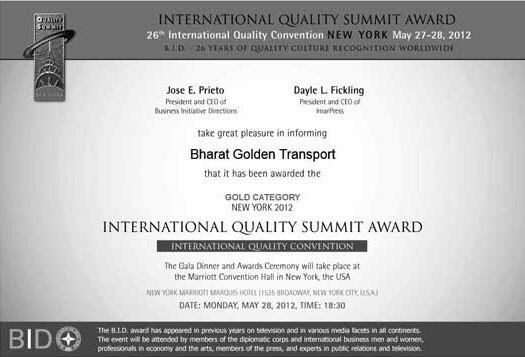 We have received National Industrial Excellence Award, India & International Quality Summit Award, New York. Important Tips For our valuable Customers. 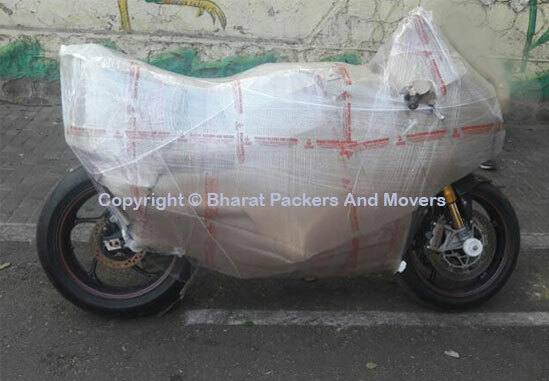 Bike Transport Pune is a part of Bharat Packers and movers. Our Head Office is at Chinchwad, Pune. We have our Own Godown as well as Warehouse. We can pickup your bike from major cities in India. When your bike reach our warehouse, our team will pack your bike with cargo sheet, bubble sheet and plastic lamination. If you opt for 4-Layer Packing, we will use Foam to pack your Bike. If you want to transport your bike from pune to any location in India, we need xerox copy of the RC and Insurance. If you are absent during drop at destination location, we need ID Card of Person who collects the Bike on your behalf. You can read about customer reviews in testimonials section below. Our other services includes Corporate Office Shifting, Factory Material Shifting, Defense Store Shifting, Defense Person's House-hold Shifting and all type of goods transportation. We are providing all type of transportation services in all over India. We always think about our valuable customers to give best service to them. 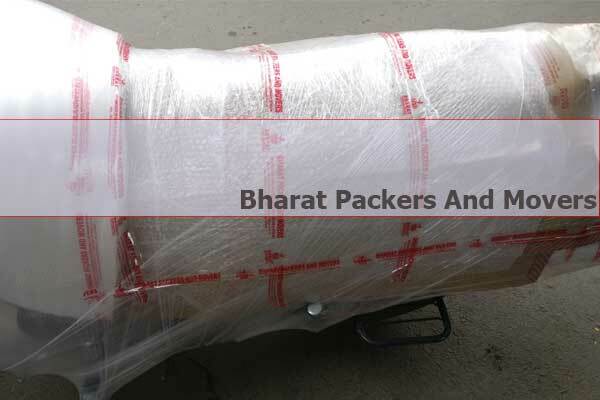 Bharat Packers and Movers Pune provides very good packing and timely delivery in low budget. 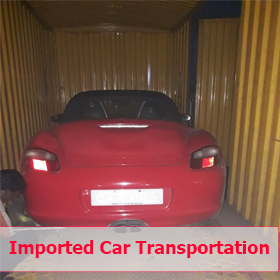 Bharat Packers and Movers have our Containers for transportation of Bike, Car, Household Domestic Goods and Corporate Shifting from Pune, Bangalore, Mumbai, Chennai, Gurgaon, Delhi, Hyderabad and major cities in India. 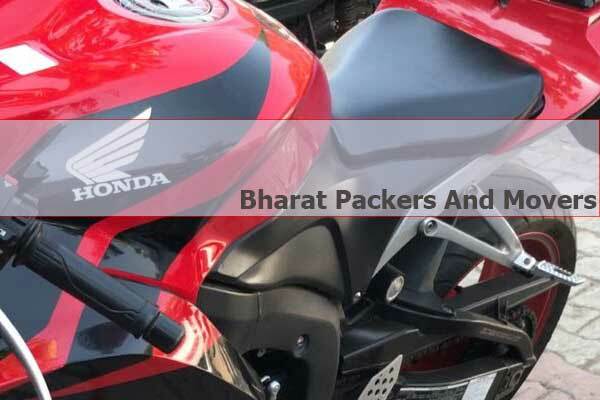 Bharat Packers and Movers Pune have Bike Transport, Packers and Movers Services, Car Transport Services, Office Relocation Service to all cities in India. Our services are available for Bike Transport Pune, Bike Transport Bangalore, Bike Transport Mumbai, Bike Transport Hyderabad, Bike Transport Delhi, Bike Transport Gurgaon, Bike Transport Chennai and all major cities in India. Very Important: For transit risk of bike transport, please make sure to opt for transit insurance, otherwise goods are booked at owners risk only. Contact Bharat Packers And Movers Today For Bike Transport from Pune to Gurgaon, Delhi, Mumbai, Bangalore, Chennai, Hyderabad, Ahmadabad, Jaipur, Lucknow, Kolkata, Patna, Nagpur, Ahmednagar, Nasik, Cochin, Raipur, Cuttack, Bhubneshwar and all major cities in India. Call 9823889189 / 8087045000 OR Fill the Quotation form above and check the Bike transportation fare for yourself! This is average tentative time for transportation of Bike from one city to another. Actual time may increase / decrease based on actual conditions during time of your shifting. Besides above routes, we provide bike transportation services for all major cities of India. For more Bike Packing Photos, please refer to our Gallery Page.